The NaNo site has wiped and is fresh for a new year, so this means . . .
NaNo season is upon us! 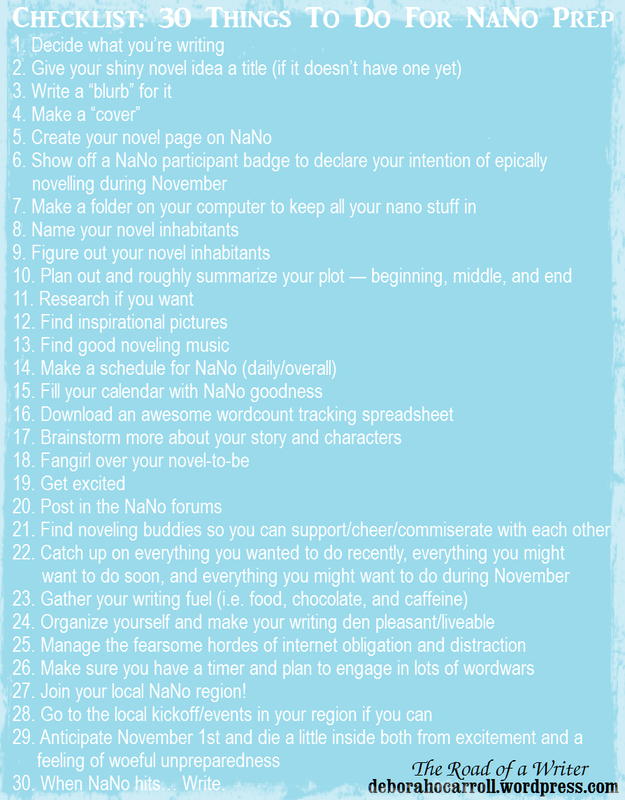 Here’s a checklist for things to do to prepare for NaNoWriMo… This is actually mostly for ME as a reminder of what I should be doing during NANOPREPMONTH (er… I mean October), and sort of in the form of notes-to-self, but I thought you might enjoy it too, so here it is! It’s a mixture of my ideal to-do list and things I think others might find helpful to do or know or think about. Whether you’re a beginner first tentatively dipping your toes into the NaNo waters, a seasoned writer of a year or three, or a veteran of a dozen years, I hope it’ll have something in it for all of you. This is harder than you might think. I usually take months to decide… But be it an old plot idea you’ve been planning for years or a newborn baby plotbunny from last night, you’ve still got to decide. Be excited about it! This will help you with knowing what you’re writing, and you’ll also have something for the novel info page on the NaNo site, which is very motivating. I find that I have a hard time writing a story these days unless I’ve defined it in some way and summarized it in a paragraph or three. It’s very helpful. Don’t underestimate the inspirational value of a mock cover for your story. It’s like a banner to lead you into battle. Or a physical one if you’re a real paper sort of person. Organization is key! Whether it’s just the main character, or the important ones, or all the minor ones as well, make sure you do some thinking about them. Anything from a word that describes them to full bios… whatever you like. You can go as detailed or not as you want. It’s up to you and your preferences. I like to be very plotted so that I feel like I know what I’m doing and have some chance of having something to write for 30 days without chronic writer’s block. I’m also throwing in “setting” and “worldbuilding” collectively into this point because to me at least they’re so intertwined with plot. Note: If you’re a pantser, feel free to disregard the two previous points. If you’re writing a historical or a sci-fi or a fantasy or a contemporary, you may want to look up facts and figures and swords and time-zones. Or even if you think you don’t want/need to research, you may have something to do still… For instance, I’m “researching” by reading different versions of the fairytale The Twelve Dancing Princesses and rereading books that contain characters I like of certain character types which I hope to understand enough to write similar types for myself. Basically whatever you need to feel prepared! Whoa, hey, take it EASY! O_O It’s for inspirational purposes, honest! Whatever inspires you. Instrumental music is good unless words don’t distract you. Fast music is ideal — those fingers will type faster if the music is exceeding the speed-limit. Epic movie soundtracks can inspire. Make a playlist on your computer/phone/ipod/youtube… I also recommend Pandora and I’ve heard some people like Spotify as well. 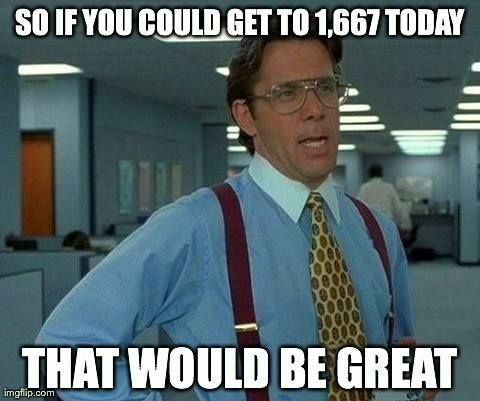 Both a daily one, and one for your overall month. It may not work out, but having something to shoot for is ideal. (Aim for moon, land in stars, am I right? Naturally. So pay attention. 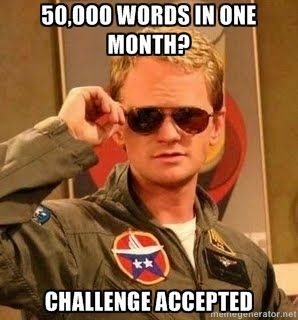 XD ) Whether this is a particular time of day you hope to write, or segments with a projected wordcount, or, for the month, blacked out days when you know you won’t be able to write, and highlighted days when you’ll have extra time for catching up… Whatever works for you, go for it! 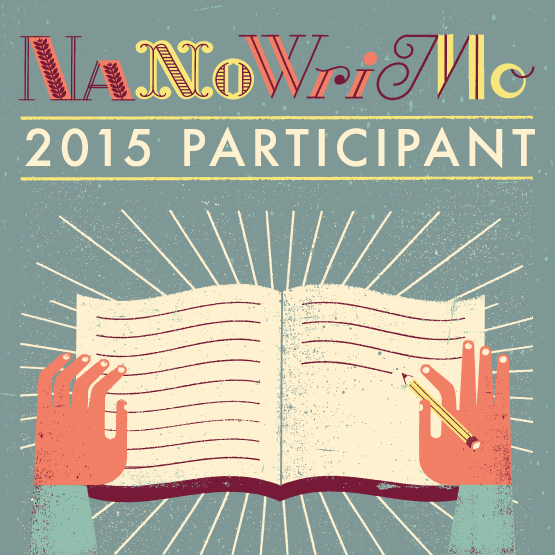 Wordcount goals, local NaNo events, NaNo dates (like these). Or be nuts and overboard like me and have a whole spiral notebook with a page for each NaNo day and put all the relevant info for that day, the expected NaNo wordcount goal, my personal wordcount goal for the day, along with a daily schedule/to-do list and all other life events/importantness/reminders to remember in the midst of hectic noveling. This amazing person has splendid spreadsheets for free download that are fabulous for tracking your words and other stuff about your NaNo novel. There’s others out there you could find, but these are my favorites. You can also track your daily wordcount on the NaNo site, which is fabulous too (watching the graph climb is one of the great joys in life), but I’m not always on the internet and it’s nice to have it right there. *I’m assuming most people reading this are female. I apologize if you’re not. Fanboy if you will, or find a more acceptable verb if you would rather. And please inform me of what it is because I’m curious! 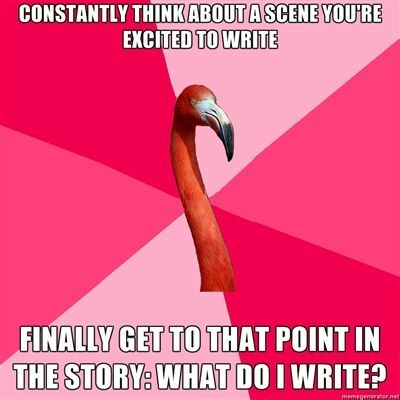 Because there is so much awesomeness and community at the NaNoWriMo Forums. 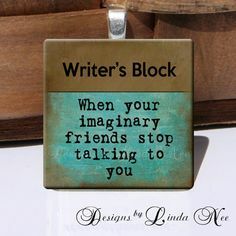 Noveling is lonely work but the camaraderie during NaNo is one of the great reasons for writing during November even when you feel too busy for it. Okay, tall order. But you’re seriously going to want to have your plate cleared. 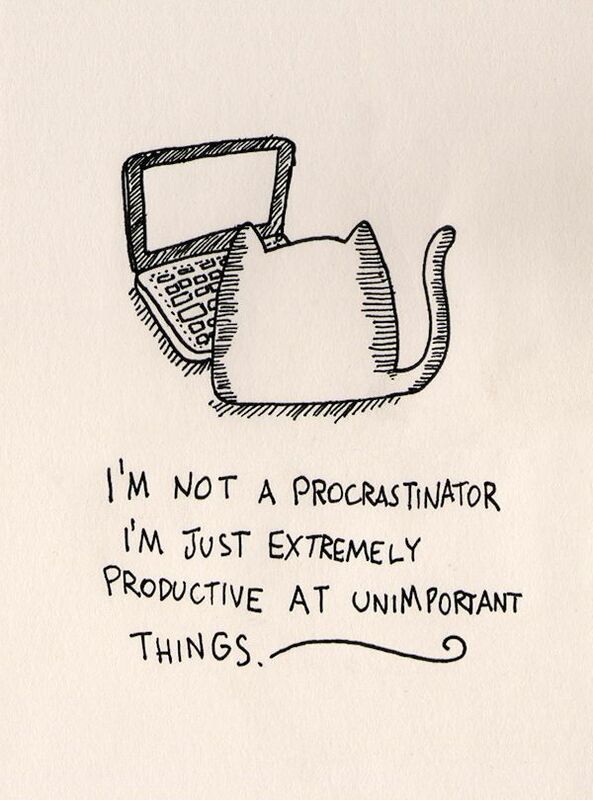 If there’s something you think you’re going to have time for during NaNo…? Plan your meals, buy snacks and coffee/tea/beverage of choice. Because food and drink is almost as necessary as chocolate. 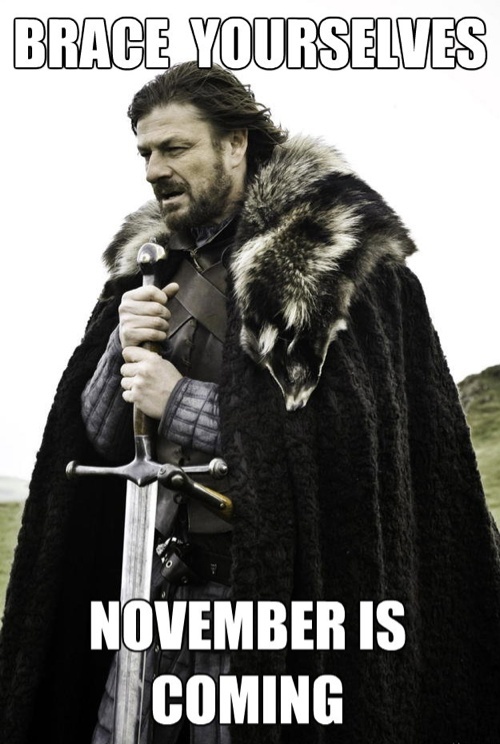 Also, caffeine is your friend, unless you think you can get enough sleep during the month… Haha. 27. Join your local NaNo region! Find your local region from the list here, home to it, and join in the fun on the forum! You’re ready now, aren’t you??? It’s okay. None of us are actually ready, even if we’ve checked off everything on this list and all the lists out there. 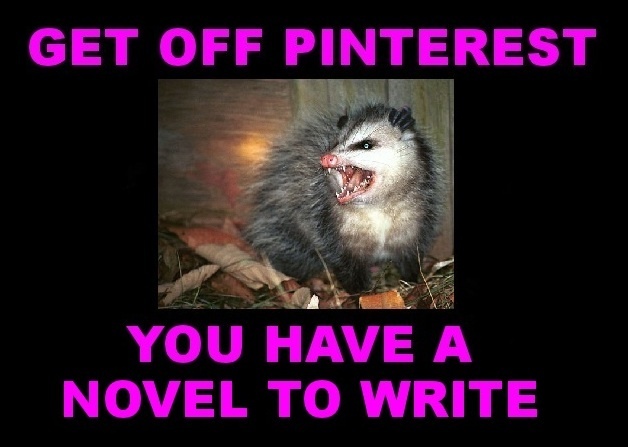 Just let the whirlwind of noveling take you where it will. 30. When NaNo hits… Write. Recipe for a successful NaNo: Write with abandon and have fun with it. Did I miss anything? Are you doing NaNo? How do you prepare? You’ll do awesome this NaNo! I just KNOW it! I fall under the “beginner” category here (still wondering if I’ve totally lost my mind) — thank you for these awesome tips! Oh how I wish I could join the land of plotters. Having an idea in October would be brilliant. But I can’t for the life of me. My brain only decides to work a couple of days before the madness starts. Omygoodness, I feel for you guys. I hope all the planning pays off. Kinda sad that I can’t do it this year, it’s crazy but it’s fun. Oh my goodness, this is like THE master list for NaNo! THIS. IS. BRILLIANT. And you even made a gorgeous graphic with the full list. CELTI. I LOVE THIS SO MUUUCH!!!!!!!!!!!!!!!!! I definitely follow a lot of this. Such useful things to do! Although I don’t make a NaNo schedule, but that is a wonderful idea. I’m kind of sitting here in awe reading about your entire notebook with a page for each DAY. You are seriously the ultimate planner. NUMBER 22 WITH THE FLYNN GIF. xDDD Sooooo true! Having fun is DEFINITELY key. Yes! Oh man, this LIST. 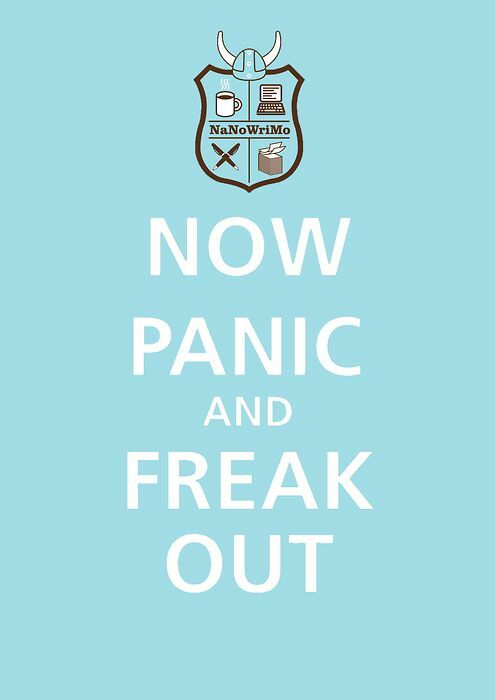 So hilarious and helpful and perfect and your pics and gifs and just… *HUGS POST* This was THE. BEST. I LOVE IT SO MUCH! Thank you for sharing!!! Haha, the strudel thing was something I wrote in the middle of the night, and it definitely shows. 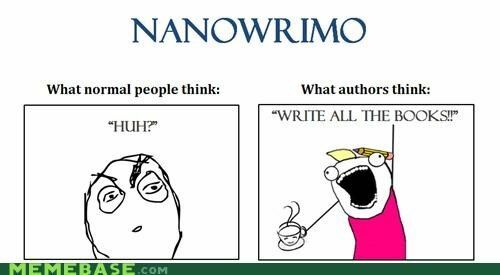 😛 NaNo is definitely a time for insanity though! THIS POST GOT ME SO PUMPED. *screams* *snaps pencils in excitement* *quickly tapes the pencils back together because, um, I’ll need those* YEAH, NANO! Gosh this post is just getting me even more excited for NaNo! 😀 I’ve already got most of this checked off! I’m going to actually try to go to some Region events this year. Most of them are a drive so I’ll have to be selective, but I’m going to try. A writing buddy and I have been training all month and we’re doing together! So pumped! Yay, I’m glad! And that’s awesome! Congrats on your busy checklist prepping! 😀 I hope you’ll enjoy the events if you get to some! 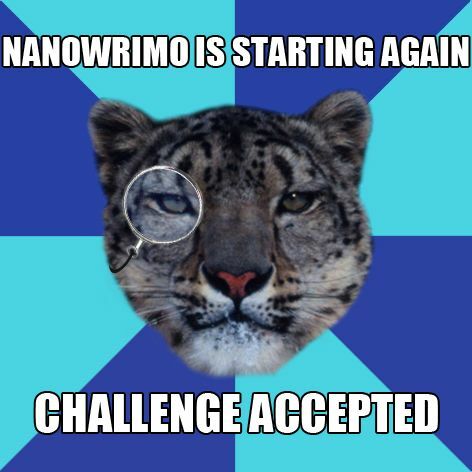 I am never prepared for NaNo, but always ready, if that makes sense. I need to have a serious brainstorming session. Great post! Really liked all your idea’s!